Do you wish to extend your outdoor space or protect your garden from the harsh elements of the weather? Our selection of outdoor canopies is designed to add style and increase the appeal of your home or commercial space. They make the ideal solution for cafes, bars, retail stores and various other commercial applications. We manufacture all of our frames on our premises from start to finish. We cut, bend and weld the aluminium and then fix the fabric to it and finally finish it off with matching cover strip. With a huge range of colours, styles and finishes available, ask us today to for a FREE measure and quote! At Blind Concepts, we have a fabulous collection of canopies that can enable you to create the perfect outdoor space to entertain people. Available in an array of styles and designs, we have something to suit every space. Be it a concept canopy or any other pattern, we have your needs covered. If you are looking online for fixed canopy awnings, we can help you with the best shading solution. We offer a complete range of canopy services and you can completely rely on us for services of the highest standards. To make the task of canopy maintenance easier for you, we also offer canopy cleaning services in Melbourne. Blind Concepts is home to an exquisite collection of canopies. Stylish and durable, we have several options that you can choose from. If you have any queries or not sure about the canopy that will best complement the look of your home, feel free to reach out to our team. We will be happy to assist you. If you have any queries, call us at 03 9720 1778. You can also get in touch with us online for a free quote. Click here to get a FREE quote today! Cant find what you need ? Just call and ask, or contact us. There is not much we don’t do. If it’s a window covering, we will have a solution! We are a trusted Somfy supplier, Australia's leading blind motorisation and automation. Find out more here! Blind Concepts is proud to be a certified Verosol dealer, making us a specialist in their high quality blind solutions. We also supply and install Verosol motorisation throughout the range. Ready to get started on your next project? Get a FREE quote today! Call 03 9720 1778 or click here to book online! Get a FREE no-obligation quote today! Ready to talk to a friendly Blind Concepts representative about your next project? Get a FREE quote by calling or email us today! 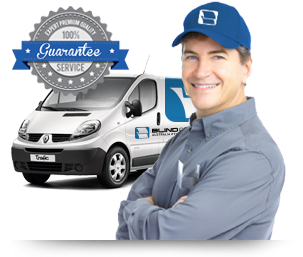 Welcome to Blind Concepts – we are a well trusted and long established specialist of Domestic and Commercial window treatments for blinds, awnings and window treatments. We not only sell and install, we repair and clean on site too. Our blind cleaning service in Melbourne comes to you - meaning we don't need to take the blinds away, they are cleaned and re-installed that day! How do I decide on the perfect blind?